Auditions for Survivor are coming to the Florida area! Are you a Survivor fan looking to get in the game? 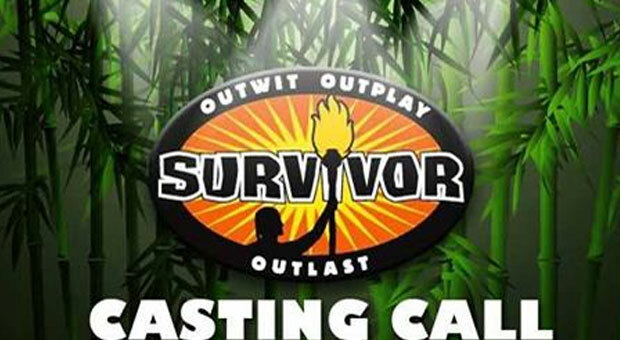 Well if you live near Cape Canaveral (Orlando area) your shot at CBS Survivor is coming up. The show is looking for dynamic, strong-willed, outgoing, adventurous and physically fit individuals that have a personality that reality TV viewers would want to tune in for. For those who may have been stuck on a deserted island of their own and have never seen the show….. Survivor is one of the longest running reality shows on TV. It takes a group of contestants and splits them into 2 “tribes”. Those tribes compete against each other in physical and mental challenges while isolated at a remote location and having to survive by building their own shelters, fishing, etc. The losing tribe has to vote off one of their teammates until few remain. At a point in the game, the tribes are combined and contestants try to outwit, out last and outplay their competitors. The last man or woman standing gets to walk away from their survival experience with $1 million. Why do you think you could win Survivor? If you are a fan…please tell us why? How do you already play Survivor in your daily life? Give examples! What past Survivors are you most like in real life? You must be 18 years or older to audition for CBS Survivor. I grew up in Camden, survival has been it since birth. I want to be a contestant on survivor 2018 hook me up. I would like to be the oldest women on Survivor! I have great whitewater canoeing skills. I am a avid snowboard. Live alone. Single. Have lived in a school bus for 35 years and built a addition on to it that is very unique. I have created a business out of another bus that is now 23 years old and beloved! I’m physically fit and a good looking; from what I’ve been told! Hehe. I’m hard headed! Entertaining and have experience alot if hardship; especially of lately! I can give a good argument but know when to shut up; most of the time! Ms Be ? I am looking for a challenge for a survivor program. I made it through thirty years in the army and now survived chemo and radiation with neck and throat cancer. Single dad who’s daughter is now off to college. Doing things that I’ve always wanted to do. Living life on life’s terms. Controlled epileptic and recovering alcoholic who has changed my life and my daughters through strength and struggle. Blessed to be living the life I have. Bucket list. I need an adventure of strength and to get to realize who I am AGAIN! I hit the (Damn) 40’s and I NEED To Regain My Hope of who I AM! I Love Life and KNOW I AM A Better person than how I TREAT MYSELF!